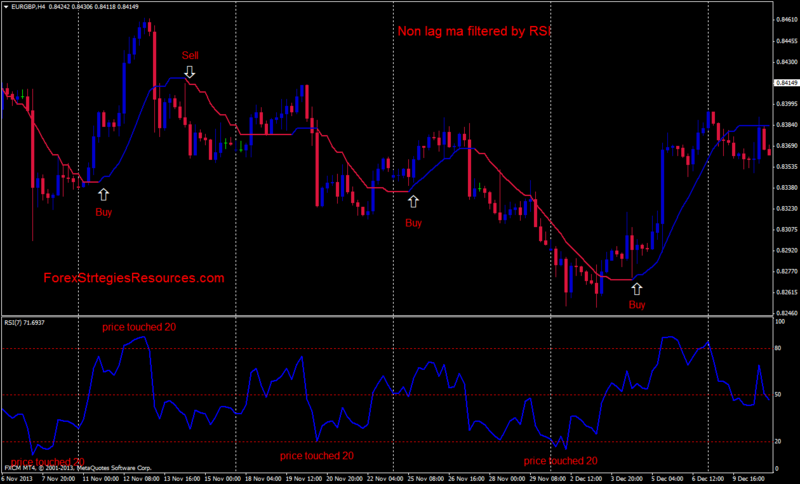 Non lag ma filtered by RSI is an overbought and oversold forex strategy. Currency pairs: USD/CHF, EURCHF, EYR/USD, USD/JPY, EUR/GBP. After Relative Strength Index (RSI) touched oversold area(20) wait for the Non lag MA line appear blue color, close the candle then buy. SELL SİGNAL: After Relative Strength Index RSI touched overbought area (80) wait for the Non lag MA line appear red color, close the candle then buy. Time Frame 30 min stop loss 18 pips profit target 25 pips. Time Frame 60 min stop loss 25 pips profit target 30 pips. Time Frame 240 min stop loss 50 pips profit target 50 pips. 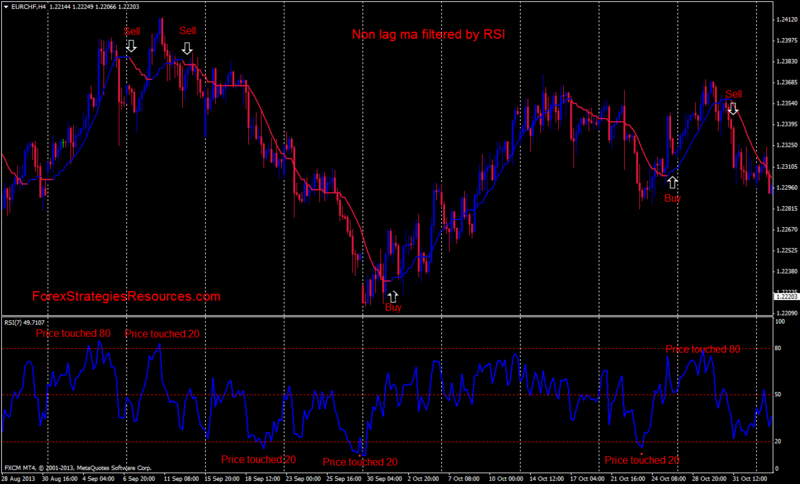 For EUR/CHF ratio 1:1 stop loss but respect at the previous less of 10 pips. This forex strategy is simple and effective.